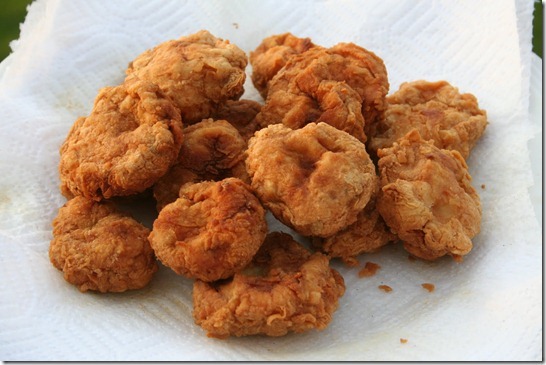 Take chicken cubes and add Worchester sauce, salt, red chilies, lemon juice, mustard paste, and garlic paste in it. Mix it well. Take flour and add egg and some water in it and make a smooth batter. Put chicken in flour batter and then coat it in breadcrumbs. Heat the oil and deep fry the nuggets. Serve hot with chili garlic sauce.